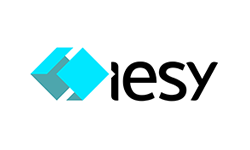 iesy serves as a systems supplier for embedded computing. Driven by our passion for technology we have been developing, manufacturing and marketing electronic systems and components for industrial applications since 1966. With a well-established team of experts in software and hardware development, materials procurement, manufacturing and device testing, iesy is an ideal outsourcing partner for the development, series production and maintenance of customer-specific electronics products. Following its maxim “All is simple. All is iesy.” the company develops customized solutions in the field of embedded computer technology from its headquarters in North Rhine-Westphalia.